A surprise, indeed! 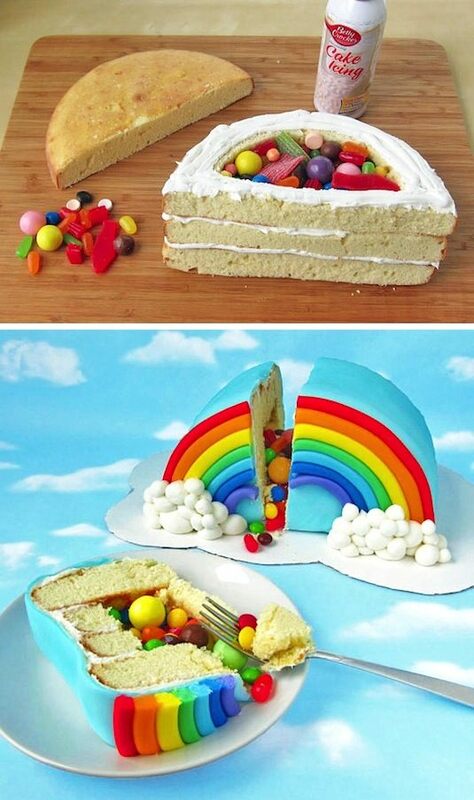 Just when you think you’ve seen the coolest rainbow cake ever, it’s cut open to reveal the surprise waiting inside. If it were me, I’d stuff it with those little gold chocolate coins! It would be like the pot of gold IN the rainbow instead of at the end of the rainbow. Wink. If you like the idea of a rainbow cake but aren’t much of a dough puncher, this awesome rainbow cake might just be up your ally. 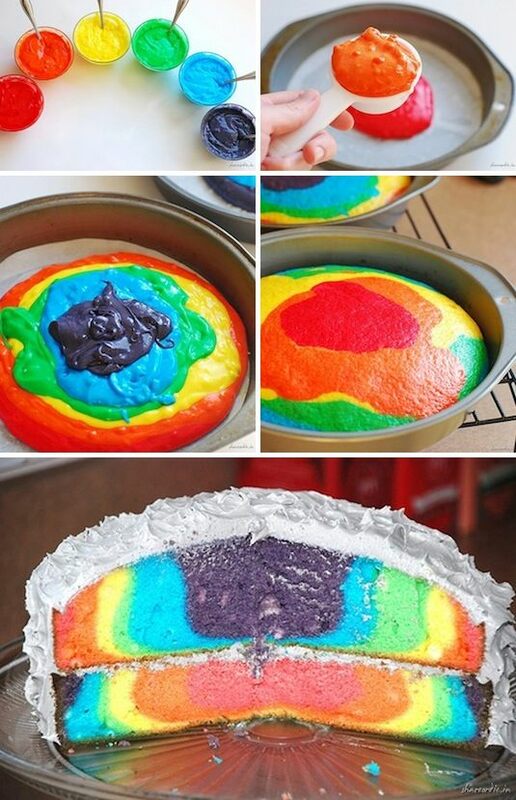 Food coloring mixed with white cake batter will give you your brilliant colors, now all you have to do is plop it in your baking pan. I love how this one also turned out with a tie die effect! 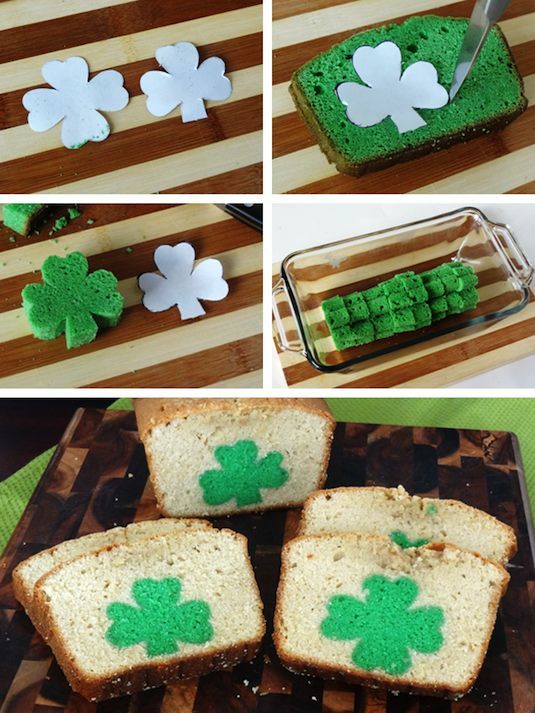 Lindsay got creative with this one and made her own shamrock template (just in case you don’t happen to have a shamrock shaped cookie cutter that is the right size). In that case, with a little extra time and effort, I suppose you could make just about any shape that you want! 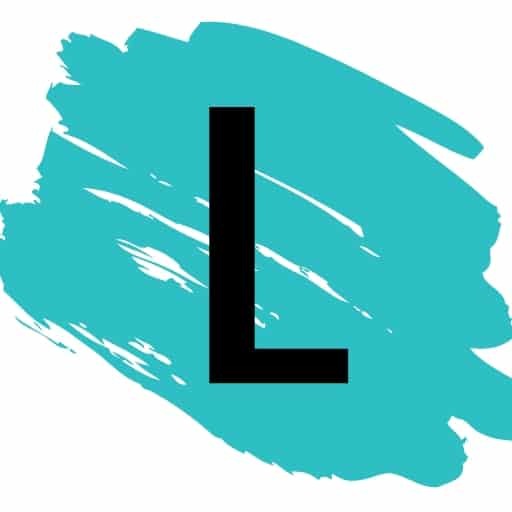 This way you’re not limited on the standard shapes available, and can completely customize your cake.